Apple.com-repair-os.live pop-up windows may unexpectedly appear in your Mac computer and its browsers – Safari, Google Chrome and Mozilla Firefox. When apple.com-repair-os.live pop-ups first appear a lot of faulty and quite misleading information is being displayed. For example, you may be told about different viruses to be the part of your system. Then the pop-up will tell you about the necessity to download and install some kind of suspicious program that is advertised as the remedy to get rid of these falsely reported infections. You ought to be careful not to trust any primitive and obviously untrue statements reported by apple.com-repair-os.live alerts. 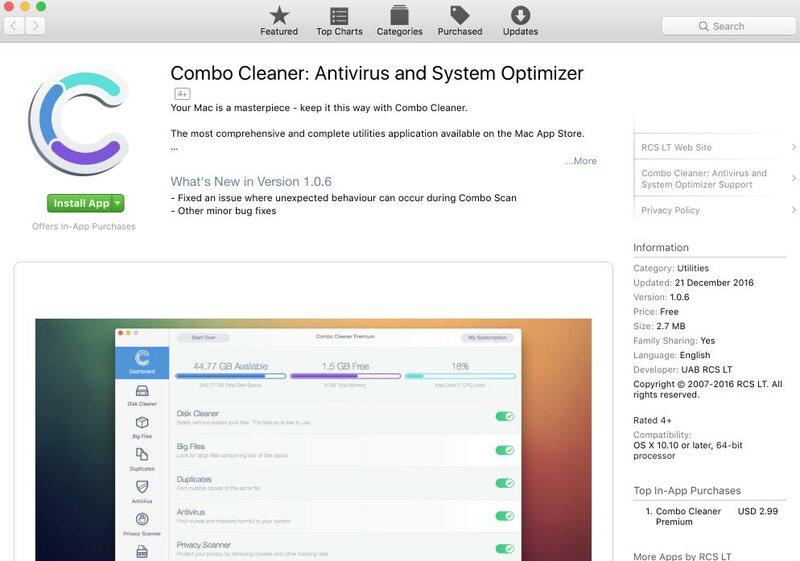 Instead, make sure to carefully follow this guide that explains steps you should implement to get your system thoroughly fixed and repaired with the help of reliable anti-virus solution for Mac OS X – Combo Cleaner Premium. 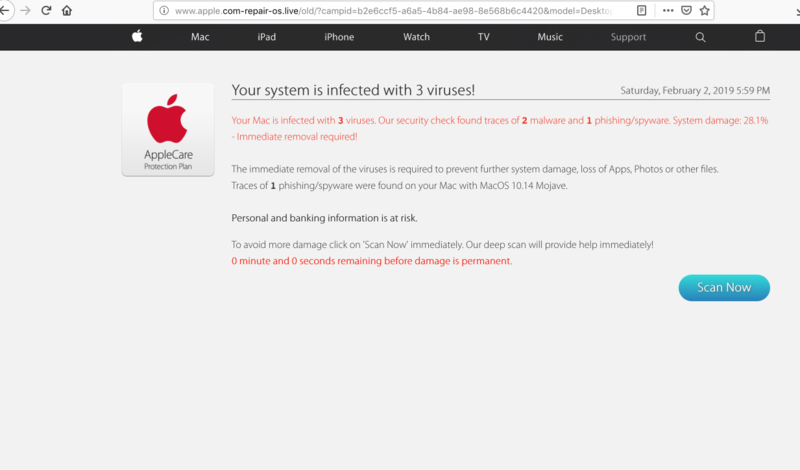 Behavior of browser infected by apple.com-repair-os.live pop-ups. How to get rid of apple.com-repair-os.live pop-ups from Mac OSX systems? How does your browser function with apple.com-repair-os.live pop-ups enabled? 4 minute and 26 seconds remaining before damage is permanent. We strongly advise you not to trust these faulty alerts given in apple.com-repair-os.live alerts. You must realize that the only mission of this scary message is to get money from you. So, do not trust any misleading information stated through it. Instead, we serious urge you to perform a complex system cleanup of your computer with the help of a proven malware removal tool as explained below. 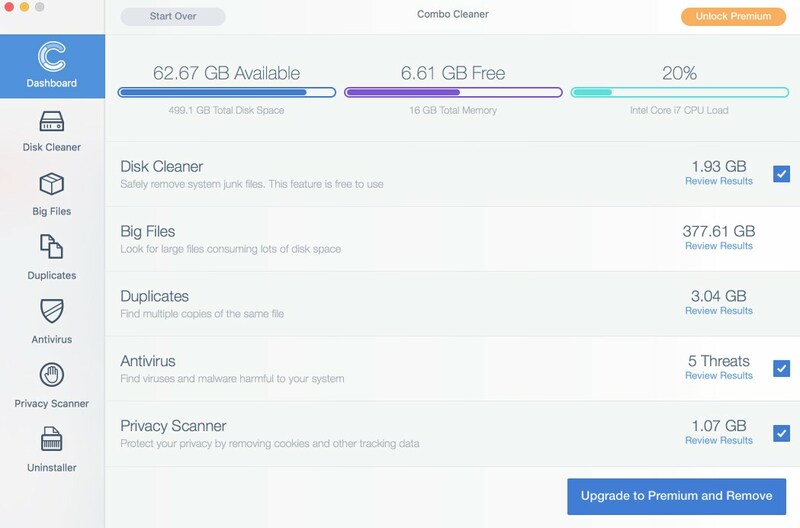 Recommended application and important milestones to get rid of apple.com-repair-os.live pop-ups from Mac computers. After you clean your computer from apple.com-repair-os.live pop-up infection it might be additionally useful that you follow additional steps that will help you to reset your browser back to the fully functional mode. These additional steps are manual and include removing suspicious extensions or complete reset of these infected browsers. NOTE. Final optional steps. Use these steps only if the above-mentioned methods to remove apple.com-repair-os.live pop-ups from Google Chrome did not help. When in Google Chrome settings mode, scroll down to the bottom of the page and click on “Show advanced settings“. NOTE. Final optional steps. Use these steps only if the above-mentioned methods to remove apple.com-repair-os.live pop-ups from Mozilla Firefox did not help. Click on the icon that looks in the form of three horizontal lines in the upper-right section of Mozilla Firefox and select the question-mark icon at the bottom of the drop-down menu. NOTE. Final optional steps. Use these steps only if the above-mentioned methods to remove apple.com-repair-os.live pop-ups from Internet Explorer did not help. Click on Internet Explorer settings icon in the upper-right part of the browser in the form of a gear-wheel. Select “Internet Options“.